Mustang or the Kingdom of Lo (Tib. གློ་མང་ཐང་, Wyl. glo mang thang) is a remote and isolated region of today's Nepalese Himalayas. Mustang was once an independent kingdom and before that part of the Tibetan empire so the region is closely tied by language and culture to Tibet. 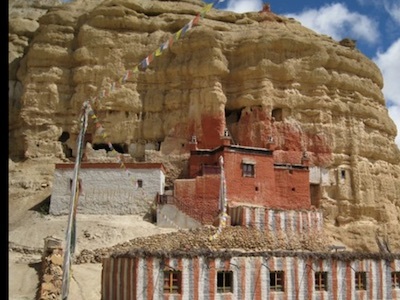 Ngorchen Kunga Zangpo travelled three times to Mustang following invitations of the Mustang kings. This page was last edited on 16 August 2018, at 20:14.